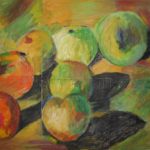 I was very proud to take seven pieces to be displayed at the Independent Association National Art Competition which was held during the Associations Autumns Study Conference in November. The winners of each category in the national regional competition gain automatic entry. The standard of work from age groups ranging from early years to 6th form was excellent and viewed by leadership teams from ISA schools throughout the country. 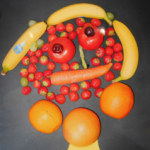 I was delighted that Anna from Year 2 was highly commended for her photograph of a vegetable person. 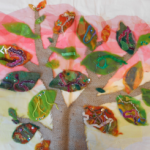 Year 6, 2013/14 came 2nd with their textile felted piece. 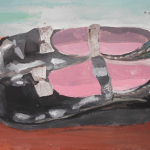 First places were awarded to Mia in Year 6 for the painting of a pair of shoes and to the Lower School Art Club for the Autumnal fruits composition.